Consistency is the key when you are changing your logo. If not done correctly, you risk confusing your customers. 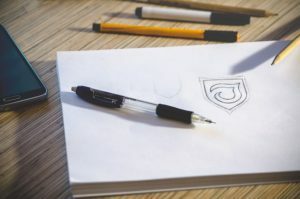 Getting the word out as early as possible, asking customers for their thoughts are good things to keep in mind when you are considering making any updates to your logo. There are certain steps to take when introducing a new logo to your current customers. Introduce your new logo with a flourish. Make announcements on your website and social media channels. If you send out a newsletter, make sure to include the change there. You’ve devoted time, energy and money in your new logo. While the process is ongoing, let everyone know about it! Don’t wait until you’re at the end. Keep your customers in the loop and make them part of it. Engage your customers further by involving them in the process. Ask for their opinions on the color palette or the new typeface. Their feedback can let you know what type of response to anticipate. You’ll have an idea of how the new logo will be received and if you’re heading in the right direction. Which approach works best for you depends on how you want to accommodate your customers. If you have a lot of printed materials, it might be best to do the roll-out slowly. This ensures that the change has been made across all platforms and promotional materials. This is a great platform to introduce a new logo. You can ask your followers to share your new look with their audience as well. Your logo is an opportunity to make an impact through your brand. By introducing a new logo using the right approach, you can engage your customers in the process. This ensures the transition will not alienate or confuse your current customers. Include your new logo along with all promotional materials and social marketing that symbolizes your brand.